Submitting To BlogCatalog: Is it worth it? 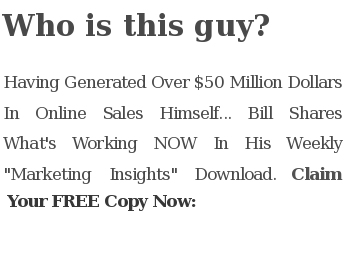 This entry was posted in Blogging and tagged blog directory, blog submission, blogcatalog, Blogging, linking, links, promotion, seo by Bill McIntosh. Bookmark the permalink. I have tried submitting my Webmaster blog to blogcatalog and I am waiting for them to verify my link..
Two years later & they still have nofollow. BlogCatalog has recently updated to remove the nofollow attribute, thereby contributing to page rank. Also, I submitted a new blog to blogcatalog and it generated 4 uniques on the first day. This is a result of starting a couple of discussions and joining a group. Participating in blogcatalog may or may not be worth it. I will have to see going forward how it works out. I have spoken now to two people who paid for sponsor listing in BlogCatalog. They were not informed that their link would be no follow. A better question would be what is BlogCatalog saying to it users by using this attribute? That they don’t trust any of the links in their directory. rel=nofollow is a really poor way for BlogCatalog to treat their members who are linking to them. I agree with Bill that PR is a bit outdated but when Blogcatalog appears in first position for VERY specific keywords (like “peperuka collage”), just above my blog, then I say a big “NO NO NO”. You’re right that BlogCatalog doesn’t pass PR (Pagerank), but increasing PR is not the only value of a link. I personally ignore Pagerank. I’ve even uninstalled the Google toolbar from all the computers I own. I have a LOT of websites and they vary from PR0 all the way up to PR8. I’ve not found any correlation to the PR of the site versus rankings and traffic. There are many other factors that are far more important. There is a lot of controversy around nofollow links and exactly how they effect your site. I personally believe they nofollowed links still pass on “link love” in that they help your site get spidered and increase it’s ability to rank well. I’ve also seen a decent amount of traffic directly from the BlogCatalog link. So I definitely feel it’s worth submitting to them. It’s not worth it. They aren’t passing any link love (PR) since they use nofollow. On your advice I did go and submit my blog. I have seen more traffic since I signed up so I appreciate your free advice on this! I gave your blog a 10!